Visit multiple venues in one night and enjoy exclusive perks including drink specials, express entry, and no cover charges. Experience LA nightlife in style, partying at the hottest and best nightclubs in LA. Meet us at the first venue to check in, meet your LA Epic Club Crawl host(s), and begin partying with fellow party goers. When the hour is up we’ll move through the next 3 venues as a group, enjoying exclusive drink specials, party games, express VIP entry along the way. Walk into the best Los Angeles nightclubs like a true VIP. We are ranked #1 on TripAdvisor in nightlife activities. We run over 200+ tours annually in Los Angeles alone. Aside from being the best in LA, the top reason to join us is because we are pretty f*ckin' cool!! 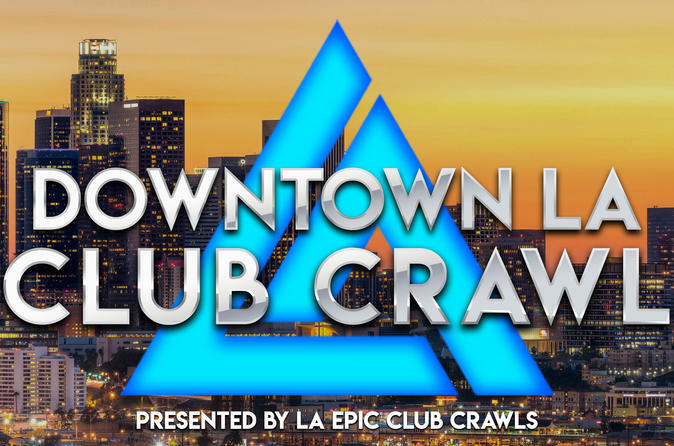 For the most epic club crawl Los Angeles has seen... come party with LA EPIC CLUB CRAWLS!